literally means the “Defeat of Siam”, is the most prosperous region of contemporary Cambodia. Its close proximity to the Angkor Wat temple complex has turned the city into one of the world’s premier travel destinations. More than one million travellers visit Siem Reap every year to explore over a thousand years of Khmer heritage built near Tonle Sap Lake, the foundation of the economic power of the ancient Cambodian empire. Siem Reap is nestled between rice paddies and stretched along the Siem Reap river; this small provincial capital serves as the gateway to the millennium-old temple ruins of the Khmer empire. The town is where you will stay during your visit to Angkor; it is actually a cluster of old villages which originally developed around individual pagodas. Nowadays, Siem Reap offers a wide range of hotels, restaurants, pubs and shops including several upscale hotels and numerous of budget guesthouses. 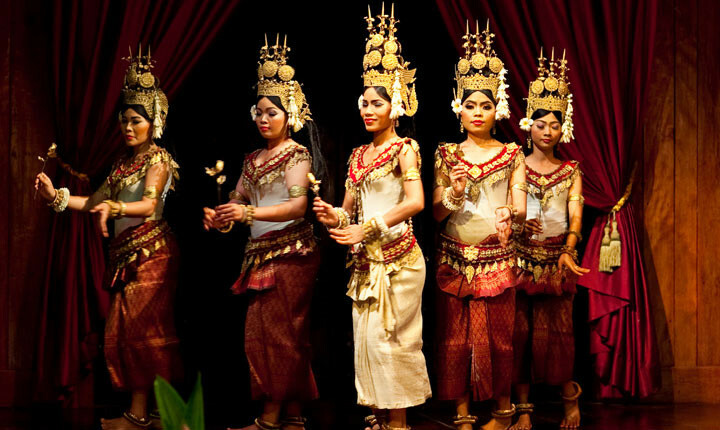 Often missed are the opportunities to experience traditional “apsara” dance performances, craft shops and silk farms. 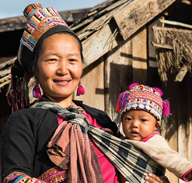 Road tours are available through rice paddies in the countryside; boat trips on Tonle Sap lake to fishing villages and trips to nearby bird sanctuaries. The Angkor Archaeological Park designated a World heritage Site by UNESCO, is the spiritual heart and identity of the Khmer people. It encompasses dozens of temple ruins including Bayon, Banteay Srey and legendary Angkor Wat whose artistic and archeological significance and visual impact is on par with the pyramids of Egypt. Temples of Angkor were built between the 7th and 12th centuries when Khmer civilization was at its height in extraordinary creativity. 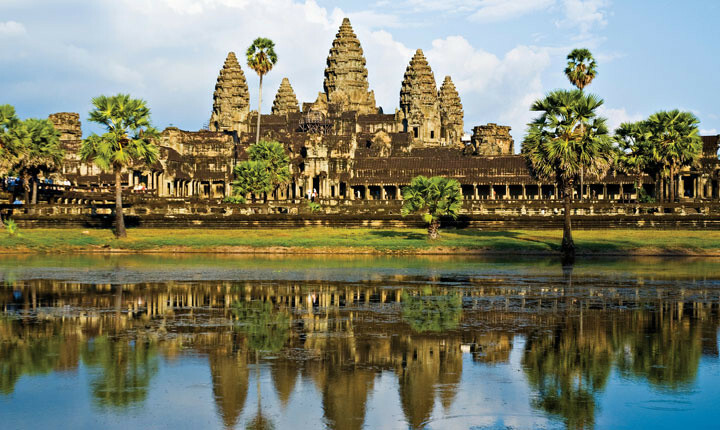 It is still the cultural home of the Khmer people and one of the ancient Wonders of the World. 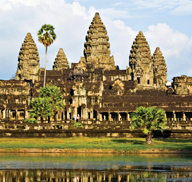 Its magnificent architecture reveals the Khmer’s strong belief in Hinduism and Buddhism. Unlike many other world-class monuments, the ruins of Angkor are unspoiled by over-development. This may not be true in a couple of years. Without witnessing them first hand, it is impossible to gauge the enormity of task faced by the builders of the time. The fact the structures at Angkor are so complete after all this time is a further testament to the advanced construction techniques employed more than a millennium ago. Most people recommend visiting these sites several times to appreciate their grandeur. Angkor Wat is best visited in the afternoon when the sun sets highlighting the west-facing main gate. Many tourists also come just before dawn to see the first light bounce off the magnificent temple when the sun emerges above the horizon. 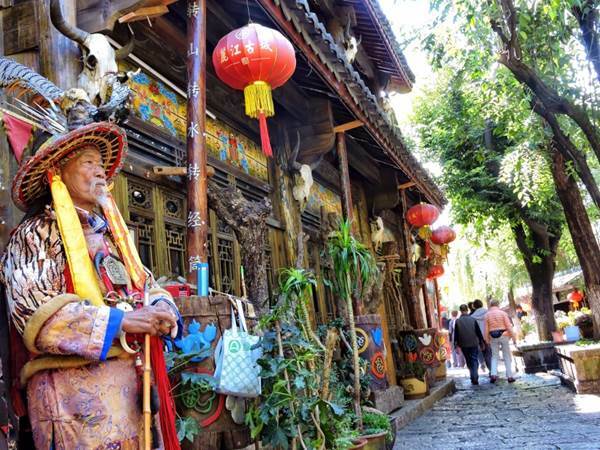 Those who have seen it in the moonlight say it is a magical experience, but tight security has since been imposed to prevent looting and tourists are now allowed to stay after dark. To visit the park, two circuits are proposed: the Small Circuit takes you in several of the major and minor temples in the area. It begins at Angkor Wat and runs 17km (11 miles) taking you to the major elements of Angkor Thom, Ta Prohm, and Banteay kdei, and some of the minor but interesting temples such as Baphoun, the Terrace of the Leper King, the Terrace of the Elephants, the Telve Prasats, Spean Thma and Sras Srang. The Grand Circuit is a 26km (16mile) tour recommended for anyone spending three of more days in the complex. 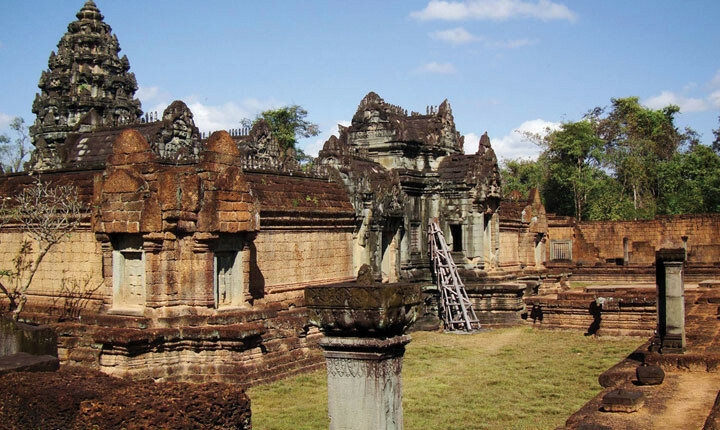 This circuit includes the sites of the former but extends into other appealing monuments such as Preah Khanh, Preah Neak Pean, Ta Som and Preah Rup. The Grand Circuit encompasses a good presentation of the rich variety of architecture found in Angkor. Phom Bakheng Temple: The temple is located on a hill serving as the first city of Angkor long ago. The capital offers panoramic views of Angkor Wat, Angkor Thom and the surrounding areas. 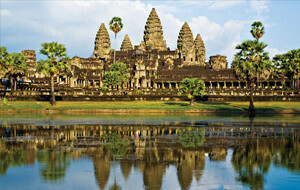 It is best visited in the late afternoon for a spectacular sunset or in the early morning for sunrise over Angkor Wat. Banteay Srei Temple: The temple stands apart for the quality of its construction and decoration. Its pink sandstone walls are decorated with what some consider the best carving in its amazing state of preservation. Built in 967 and dedicated to Brahma, it is located 25km (16 miles) north of Angkor Wat. Phnom Kulen Site: This site is widely regarded as the birthplace of the ancient Khmer Empire. This hilltop site has the country’s largest reclining Buddha. Access to Phnom Kulen can be challenging especially during the rainy season. If you are able to reach the site, make sure you see the stunning river of 100 lingas were over a thousand small carvings are etched into the sandstone riverbed. Further downstream, larger blocks of stone are carved with apsaras, Vishnu, and other figures. All the sandstone used in the construction of Angkor was quarried here. The Roluos Group: A grouping of temples and capital of Indravarman in (877 – 889), the Roluos Group was first built and made of brick with carved plaster reliefs. The group is made up of the tree temples of Preah Ko, Bakong and Lolei. Many of the later temples in Angkor are based on these earlier structures. Angkor Thom: The temple was built by Cambodia’s great builder, Jayavarman Vii. This 10kmsq city is enclosed by an eight meter high wall and encircled by a 100m moat said to have been inhabited by fierce crocodiles. There are five 20m gates located along the city’s walls. The moat is flanked with statues of 54 gods on the left and 54 devils on the right, all seemingly engaged in a game of war. The Bayon Temple: Located in the heart of Angkor Thom, the Bayon Temple is a 54 tower temple that initially seems to be a shapeless mass of gray and brown stone, but as one approaches the structure, the towers are in fact carved with more than 200 huge, enigmatic faces of Avalokitesharva bearing down on you wherever you turn. Bayon is easily the most popular site after Angkor Wat itself. The Ta Prohm Monastery: The monastery was built in the late 12th century; it is unforgettable due to the massive trees with thick roots that entangle the walls. They were left here intentionally by the archaeologists working on the site. While clearing back the forest, it was decided to leave them in place to serve as a reminder of how the original discoverers found it and other temples. Many of the trees have grown around and through the walls. Phnom Penh is the commercial, political and cultural hub of the Kingdom and is home to over one million of the country’s estimated 11.4 million people. The city offers several cultural and historical attractions including the Royal Palace, Silver Pagoda and the National Museum. 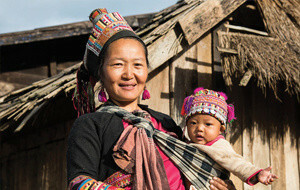 This modern capital is a vibrant, bustling city nestled majestically on the banks of the confluence of two mighty rivers: The Mekong and The Tonle Sap. These rivers then split again as the Mekong and Tonle Bassac at Chaktomuk, meaning four faces. 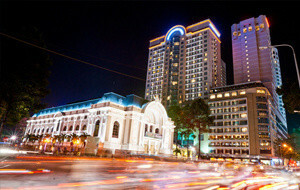 Phnom Penh is a veritable oasis compared to the modernity of other Asian capitals. With wide, tree-lined boulevards and low-rise buildings, Phnom Penh harks back to the colonial days of this former French playground. The many older French colonial buildings add to the ambiance. The Killing Fields: The killing Fields of Cheung ek are situated 15km (9.3 miles) southwest of Phnom Penh. This was the place where more than 17,000 civilians were killed and buried in mass graves; many of them were transported here after their detention and torture in Toul Sleng. This place is a chilling reminder of the brutalities from the genocide perpetrated by the Khmer Rouge. In the centre of the area is a 17-story glass memorial housing 8,000 skulls exhumed from the graves. 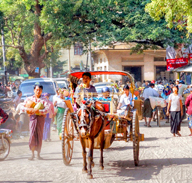 is the main hub of the Northwest connecting the entire region with Phnom Penh and Thailand, and as such it is a vital link for Cambodia. Battambang city is a peaceful and pleasant place these days. Battambang is Cambodia’s second largest city. It is an elegant riverside town, home to some of the best preserved colonial architecture in the country. Battambang was once not listed on the map for road travellers, but facilities have improved and it makes a great base for visiting nearby temples and villages. 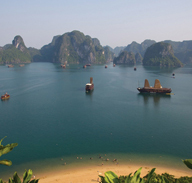 located on the coast of Cambodia, about halfway between Thailand and Vietnam, on the Bay of Thailand. A hot tourism spot for both foreigners and locals, three sides of the town are bordered by tropical beaches and islands. 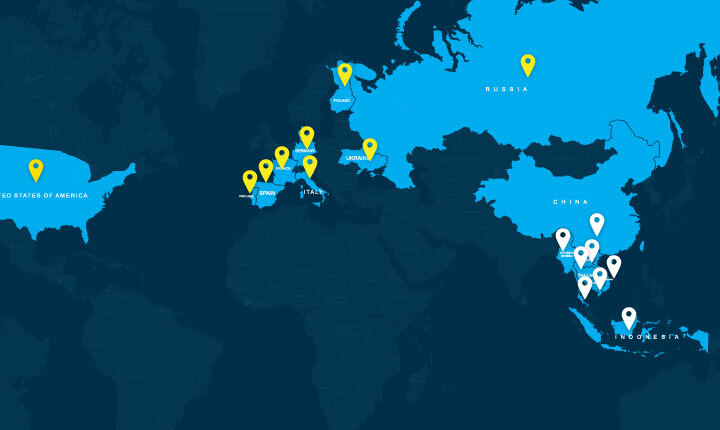 Filled with empty beaches, crowded beaches, seafood, restaurants, bars, Buddhist Temples, casinos, hotels, and more beaches. Sihanoukville, also known as kampong Som, is Cambodia’s most popular beach resort; it can be visited all year round for the cool breezes and clear blue skies. The area has beautiful tropical white sandy beaches, several of which often remain completely deserted with offshore islands ideal for scuba diving. Local fisherman will take visitors to any one of the nearby islands where coral, teeming with tropical fish, is perfect for snorkeling, diving and fishing. There are many restaurants catering to various national tastes but it’s worth trying the freshly caught crab, shrimp and other seafood the region has to offer. Sihanoukville is also Cambodia’s only maritime port and is located 232km (144 miles) from Phnom Penh. It is accessible visa one of the best inter-provincial roads in the country. a province-level town famed for its spectacular sunsets and splendid seafood, it was founded as a colonial retreat for the French elite in 1908. 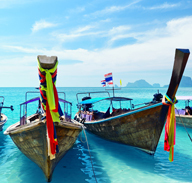 In Kep, tourists can enjoy a variety of tourist attractions such as natural mountains, evergreen tropical forest, mangroves, islands, sea grass coral reefs, pure sea air, beaches, and sea food. Most visitors come here to take a look at the old French colonial architecture, which is still in charming condition and to have a vantage point for visiting the nearby beaches or small islands of Kep. Kampot province is also renowned for the quality of its fruits (durian, coconut, mango, etc), its sea salt and, of course, the famous Kampot Pepper. Kampot is a pretty riverside town just 5km (3 miles) from the sea and serves the very popular seaside resort of kep. Once a fashionable haunt of the French elite, it was known as “la Perle de la Cote d’agathe” and has stunning offshore islands and a beautiful bay. King Sihanouk owned one of these islands and would often use it for entertaining. 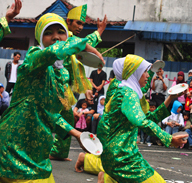 The region is famous for its production of durian fruit and reputedly has the best seafood in the country. located on the east bank of the Mekong River, Kratie attracts a fair share of visitors, many of whom wish to catch a glimpse of the last few Irrawaddy Dolphins left in the world. The town of Kratie offers an authentic rural ambience, and therefore serves as the perfect place to spend a peaceful night or two. It is a nice relief from some of the country’s more trafficked areas.